Go to a clean Hold Tank and use the 1 Item Key to add each homeopathic one at a time. 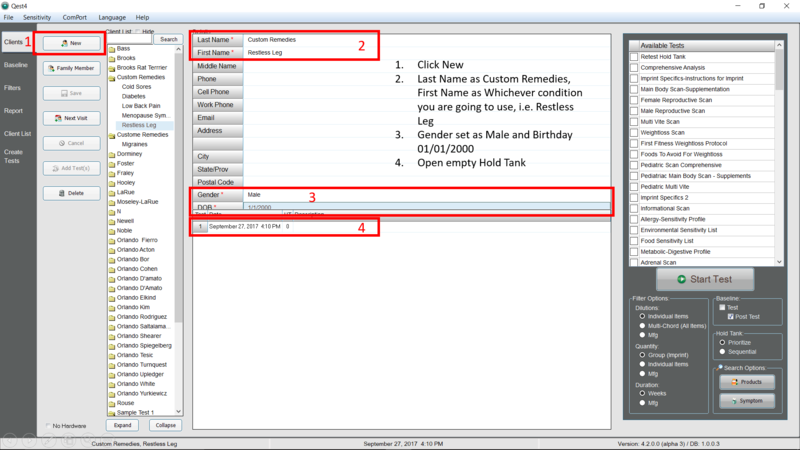 Once you add all the remedies you have created a template. 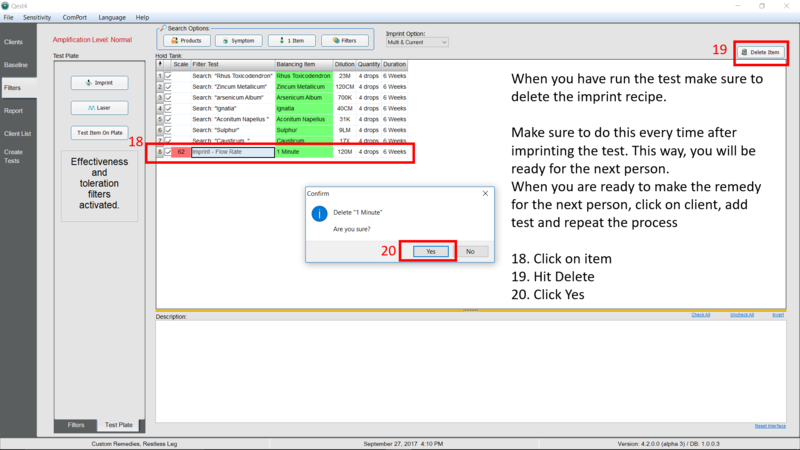 When you have a client that needs the remedy for Restless leg; You select Custom Remedy; Restless Leg then go to Client, add Test and Imprint Specifics. 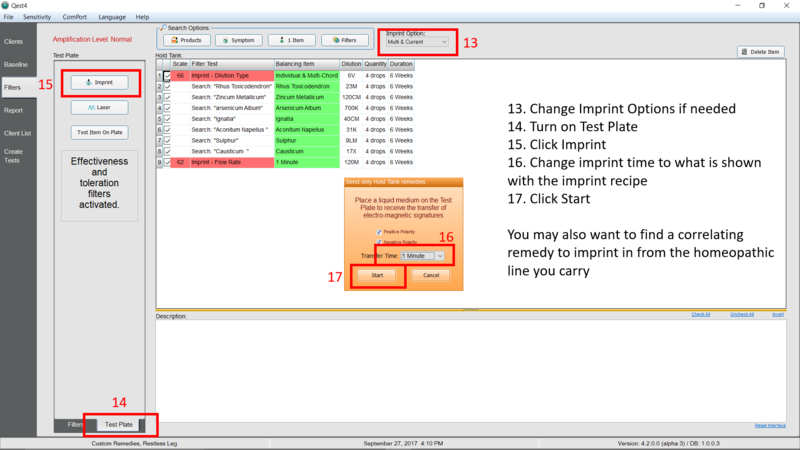 Once remedy is made you will delete imprint recipe so it will be ready for the next client. When the next person who needs a Restless Leg remedy comes in you will go into the hold tank and verify the recipe was deleted then go to Client, Add Test, Imprint Specifics and have the client hold the electrodes to get their recipe and dilutions. 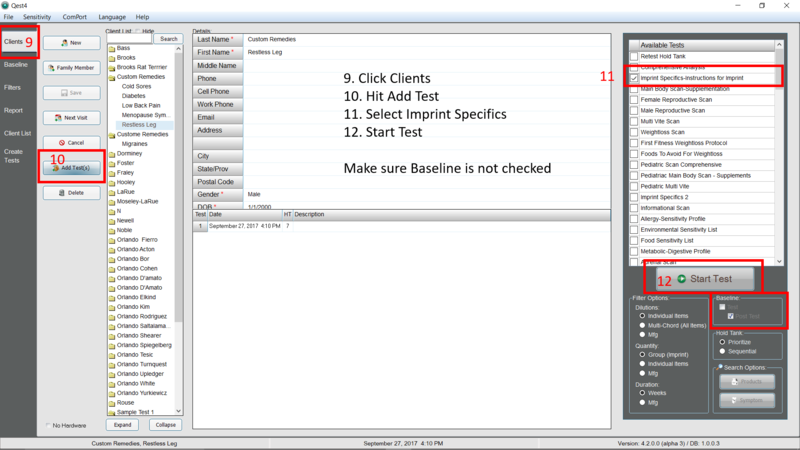 Repeat this process every time a client needs these energetic patterns. 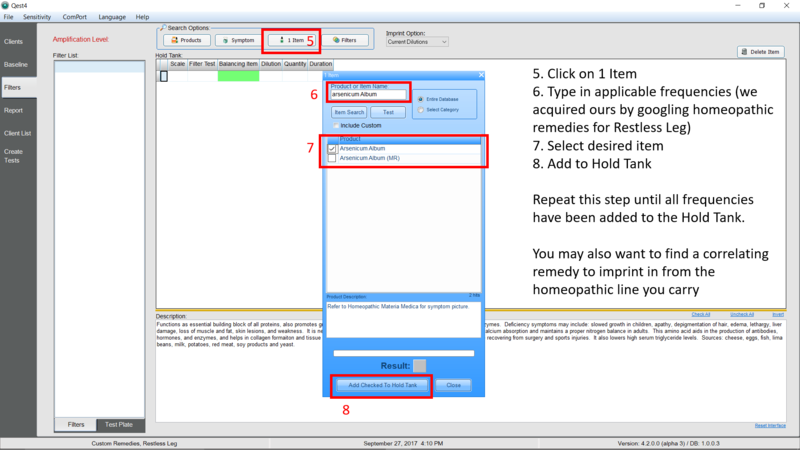 You can use this feature to make up Other Custom Remedies such as Diabetes, Migraines, Arthritis etc.